A different location can bring about new ways to enjoy good food and drink. 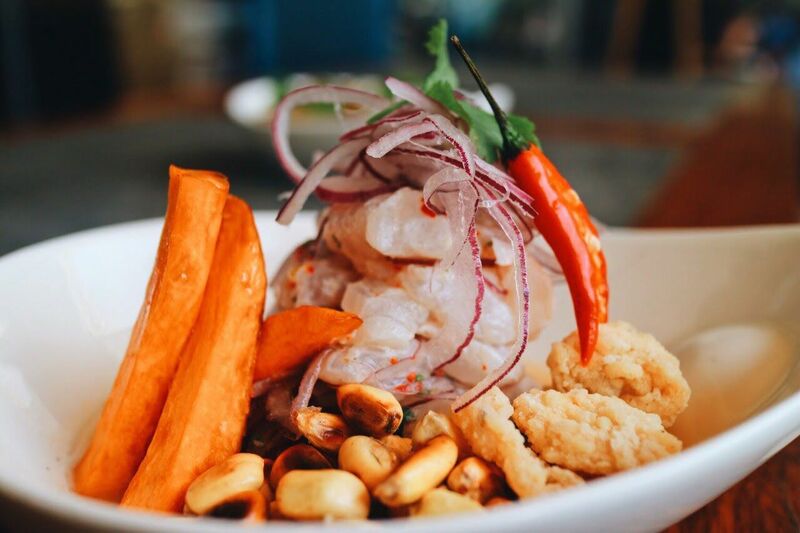 Take it from the Japanese who resettled in Peru, uncovering new flavors by combining traditional techniques with local ingredients. Likewise, Manila’s leading Peruvian-Japanese restaurant, Nikkei, presents a playful new way to enjoy its celebrated bites and booze. Inspired by the innovative dishes of its sister restaurant and the well-traveled appetite of BGC’s dining crowd, Nikkei Nama offers a fresh, playful approach to Nikkei cuisine. Opening at One Bonifacio High, Nikkei Nama uses a Japanese word that conveys lightness and freshness, mainly reflected in the use of just-procured local market ingredients treated to a global playground of taste. Amid a warm, casual space highlighted by whites and golds, head chef Juan Barcos unleashes a cleverly concocted menu that includes takes on Chifa (Chinese-Peruvian rice bowls) to a refreshing array of experimental cocktails. Deliciousness, after all, has a global citizenship. Nikkei Nama opens on November 10 at 2/F One Bonifacio High, 28th Street, Bonifacio Global City, Taguig. Phone: (0966) 533-7573.